Is your team knowledge trapped in different tools? AllAnswered is one place to capture and share all types of knowledge - tacit, dynamic and static. Capture tacit knowledge (a.k.a know-how) that is inside people's head with Q&As, ideas and polls. 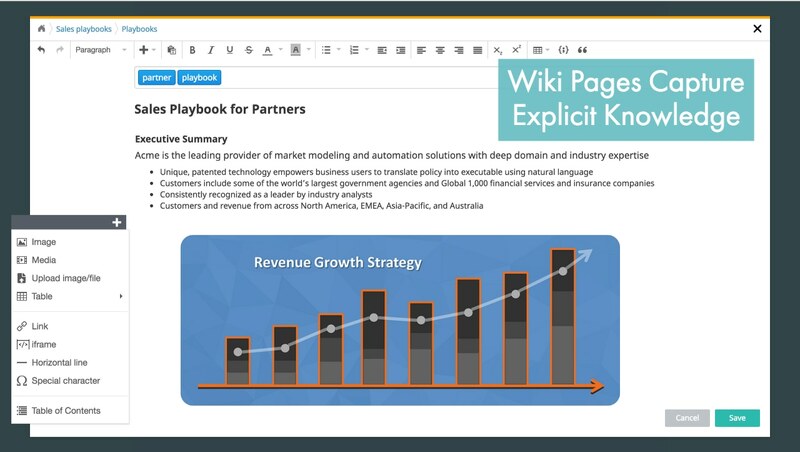 Document dynamic knowledge that requires periodic review with wiki pages, such as sales collateral, price book, deployment playbook. Keep records as reference for static knowledge such as design spec, meeting minutes. Is your Wiki littered with outdated documents? 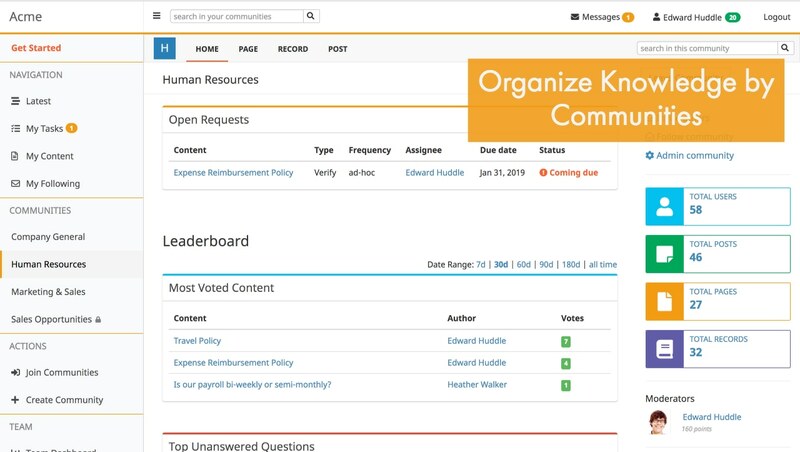 AllAnswered keeps your knowledge base up-to-date with built-in workflow management. Break silos and foster collaboration among team members through communities. 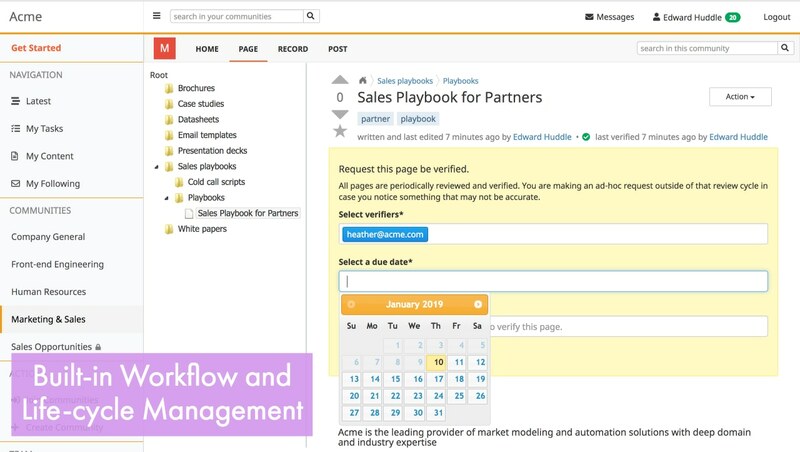 Built-in workflow with smart notification and clear dashboard to track knowledge management tasks. Knowledge life-cycle management to close and delete out-dated content. Is knowledge management taking too much of your time? 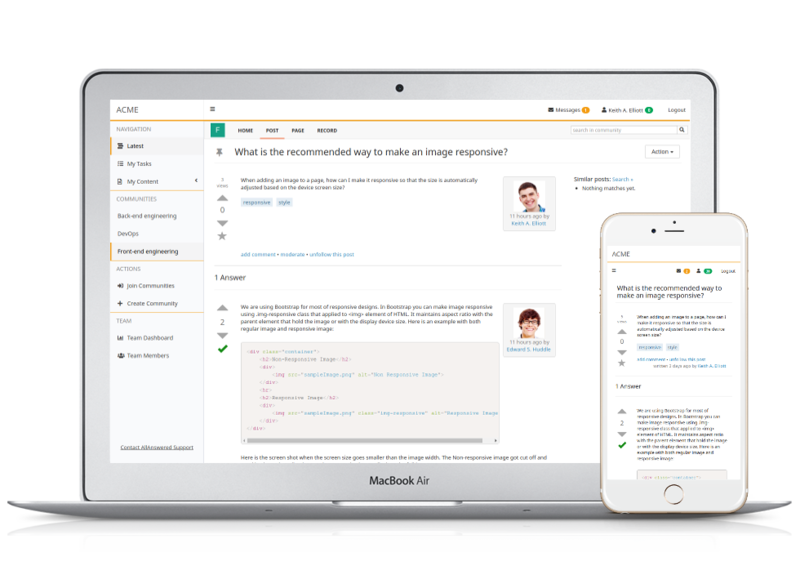 Let AllAnswered be your knowledge assistant, powered by artificial intelligence. Smart notification with emails and Slack bot streamline the process and keep users engaged. 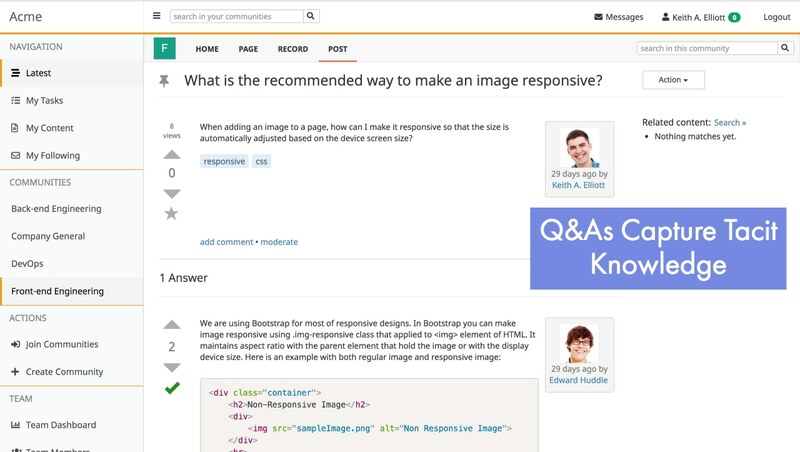 Automatically suggest related content and identify knowledge gaps in your current knowledge base. Intelligent and personalized search with natural language processing and machine learning. What is poor knowledge management costing you?